Wildlife managers are being threatened with a lawsuit by conservationists unless they take steps to protect grizzly bears in the western states. The Center for Biological Diversity filed a formal petition to the U.S. Interior Department arguing that grizzlies should be restored to their historic range in places like California's Sierra Nevada and the Grand Canyon in Arizona, Reuters reports. 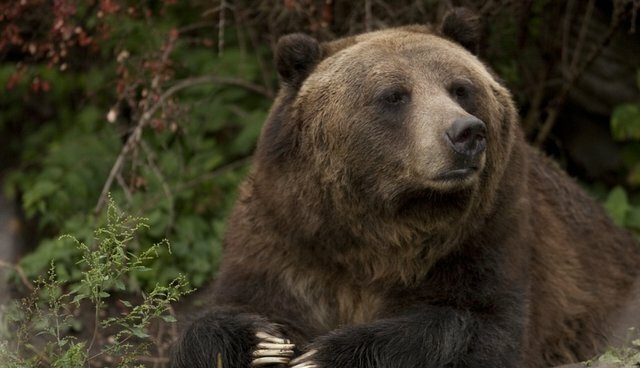 Added to the federal endangered species list in 1975, the species has been decimated by hunting and trapping -- only 1,600 grizzlies roam Yellowstone National Park and its border states of Idaho, Montana and Wyoming. The petition argues that 6,000 grizzlies should roam the undeveloped habitat in surrounding areas. "We've just begun the job of recovering grizzlies. There is so much more to do to see the bears restored to more of their range in the western United States," said Noah Greenwald, endangered species director for the Center for Biological Diversity. The petition, filed under the Endangered Species Act, argues that the Fish and Wildlife Service is obligated to develop a recovery plan that ensures the recovery of grizzlies. The Fish and Wildlife Service hasn't commented yet on whether action will be taken. Meanwhile, the area is seeing a push by hunters and others to strip Yellowstone grizzlies of their protected status, arguing that the population of some 600 bears is "fully recovered."